The RealesDate philosophy is that choosing a real estate agent is an important decision and should be made in an informed way. 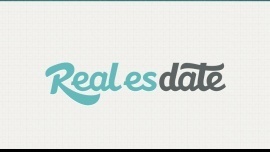 RealesDate is a tool which helps homeowners compare real estate agents “apples to apples,” similar to scouring profiles on match.com (hence the name RealesDATE). If a homeowner chooses an agent through our system the agent pays us a small cut of their commission. The service is free for the homeowner. a1. Homeowners can invite real estate agents they have been referred to or are considering using, to fill out a profile in the system so that the homeowner can compare them to other agents. The homeowner wants to see all their options in one place. Furthermore, the homeowner is often pressured by family or friends to use certain agents regardless of their skill level and pricing. By comparing that agent to others they can show their friends or family that they did give the agent referred to them a fair shot. [#4] People want to make the most money selling their house, so they want to pick the best agent at the cheapest price because thats what will yield them the most cash. While they want to make the most money, they also don’t want to do it at the expense of their relationships. a2. Homeowners can invite their friends to the service to review their agent matches and assist them in deciding which agent is right for them. For those that don’t have a lot of experience with real estate, they may feel the need to invite trusted friends and family who do have the experience they lack. Inviting others also serves to validate the homeowners decision. [#4] Choosing the right agent helps the homeowner make the most money when selling their home. People also want their decision validated so they don’t feel like its their fault if they make a bad decision. Strength in numbers. a3. If the homeowner invites friends to the service who are thinking of buying and selling, we will feature the homeowners house for sale on our website. [#4] Homeowner has an incentive to market their house because it will make them more money. a4. Homeowner invites contacts to our website to see the custom page built by us to showcase their home for sale (everyone gets this - it’s not the same thing as being featured). Friends will be triggered to share this as well so that they can “help out” their friend in selling their house. [#4] Again, the homeowners incentive is that more marketing equals more money and or a faster sale. Friends have a weak incentive to share to help their friend, the homeowner, but they might to show that they’re being nice. b1. 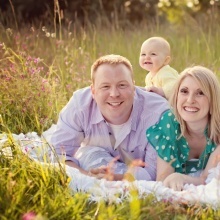 Real estate agents invite other real estate agents, inside or outside of their market, to join the service. When an agent reaches a certain number of invites, then the fee the agent pays us is lowered. [#4] Agent makes more money. b2. Confident real estate agents can invite homeowners who are on the fence about working with them into the system to convince their possible client they are the right choice. Agent gets to show they measure up to the other agents when compared head to head. [#4] Agent wants client to choose them so they make money. There is a disincentive to do for the agent as well because the client may find another agent that is better and choose them instead. b3. Real estate agents can invite other agents into the system, and once the agent hits a certain number of invites they are allowed to change their pricing structure. Usually agents can only change their pricing structure once every 60 days to prevent a race to the bottom. [#4] Agent wants clients to choose them so they can make money. If agents proposal is the best with the lowest price they have a better chance of being chosen. b. Real Estate Agents-% of their commission when the deal closes. Charge agent a small fee to revise their pricing structure. Could charge agents for tech savvy marketing help. [#4] Agents are inundated with subscription fee type services with no guarantee of ever getting any real business. The hardest thing as a real estate agent is finding a client. Agents are happy to pay to find one, especially when they don’t have to pay until they get paid. As an agent this is a client they never would have had to begin with, so they are happy to give up a portion of their fee to get them. Note - If homeowner requests an agent by name to compare against other agents, and that agent is chosen, the agent does not have to pay us.